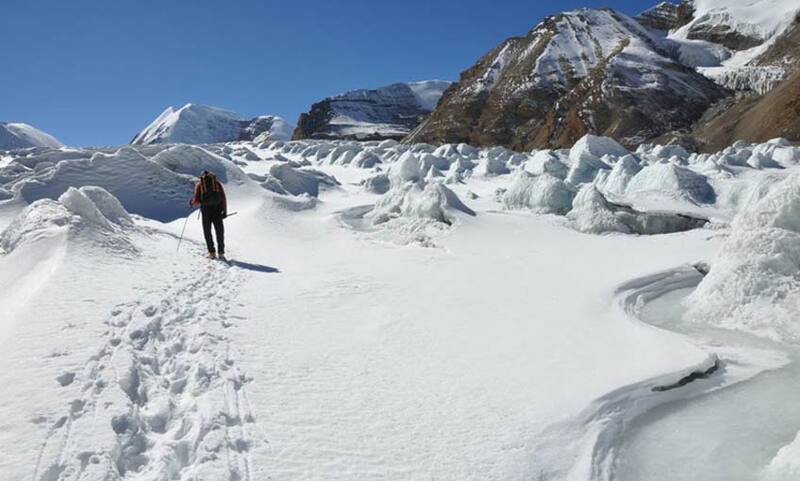 The second day trek covers 4km one way distance along glacial moraines. Laka Got situated at the snout of a small glacier is the base camp for the shepherds. 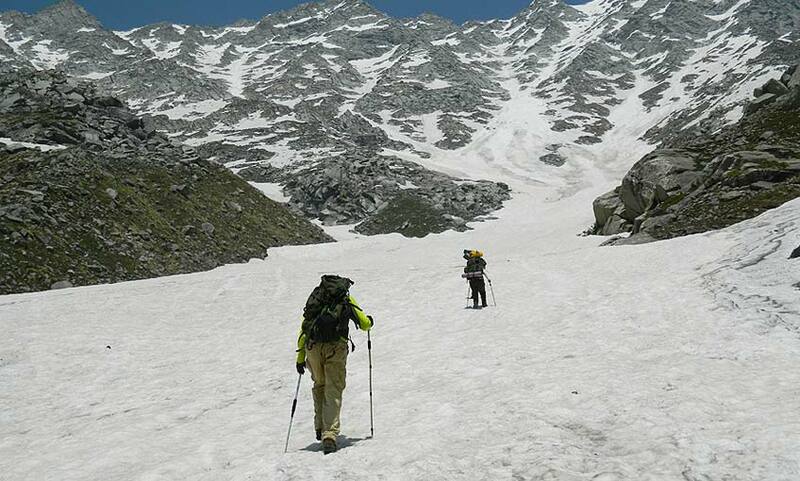 The small glacier is called snow-line. 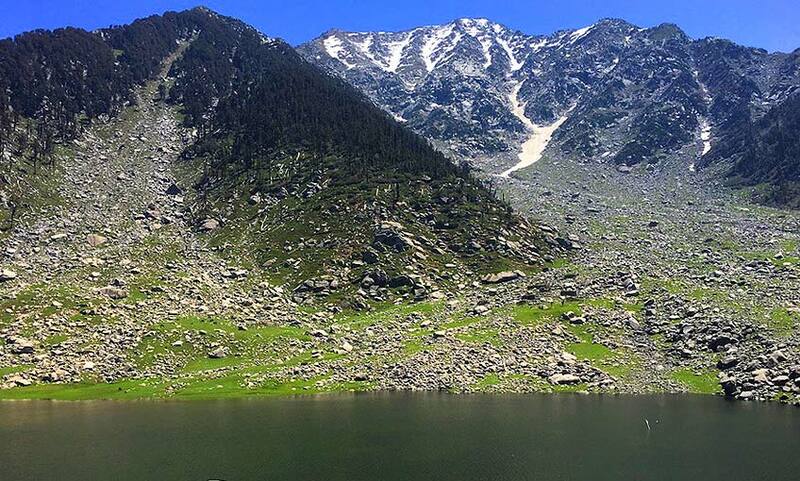 Lunch at snow-line and return to triund. 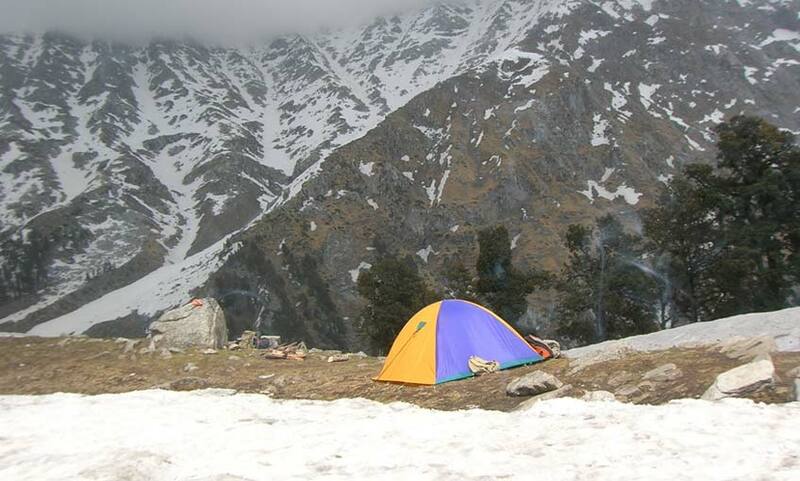 Night stay at triund. 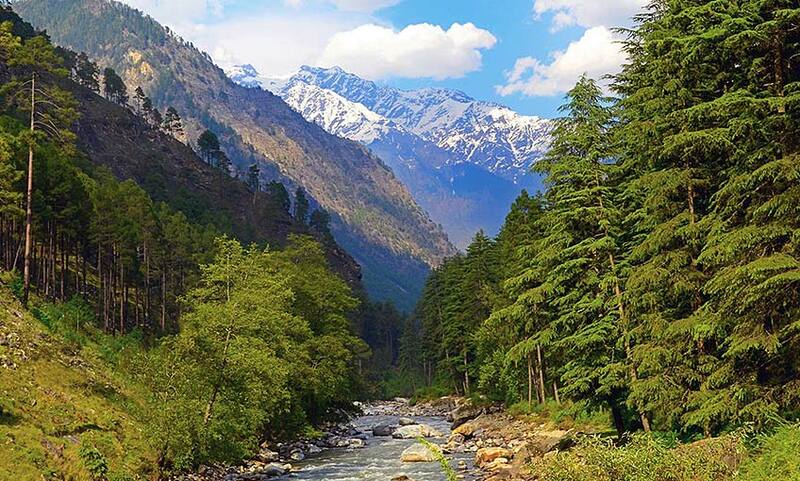 After having a breakfast take the same route on the way back or follow the grassy rodge which will lead to Bhagsunag temple, after crossing a small waterfall on the way.Mcleodganj is only 1.5km from Bhagsunag temple by road.